Proper police security systems are becoming increasingly important in keeping our cities safe. Police departments all across the country are using them in an increasing number of ways as they step up their efforts to safeguard their communities and reinforce the strength of their personnel. Recently, the Utica Police Department (UPD) had a Hikvision USA, Inc. security system installed in one of their Armadillo trucks. The Armadillo, a repurposed Brinks armored truck, deploys as a crime deterrent to specific locations based on community complaints. In addition, it is also often used as a deterrent to violent crimes involving gun violence in locations where shots have been fired or areas where gun violence is likely to occur based on historical data and actionable police information. As a leading provider of artificial intelligence, machine learning, robotics and other developing technologies, Hikvision USA, Inc. has also become the world’s largest manufacturer of video surveillance products and solutions. By utilizing the system in their Armadillo, the UPD strengthened their ability to monitor and deter crime and increase the safety of their city. The UPD has used Armadillos for a number of years, but damage to the truck in 2015 resulted in surveillance system failure, thereby taking the vehicle entirely out of commission. Rather than simply repairing the system they had previously been using, they upgraded the system and installed a new product by Hikvision that enabled video surveillance footage from the Armadillo’s security cameras to be live streamed directly to the UPD’s Mohawk Valley Crime Analysis Center. The new system was both waterproof and weatherproof and also had the ability to store and recover video footage for up to 65 days as well as an extended battery life, which enabled deployment of the Armadillo for up to seven days with continuous video surveillance. In addition, the system provided mobile access for command staff to view video footage on their smartphones. To further meet the needs of the UPD, the system also included tan/tilt/zoon (PTZ) cameras with 360-degree panoramic coverage and 20 times optical zoom as well as vandal protection and smart detection. Due to the greater degree of clarity and image quality, the UPD is better able to see details on security footage. 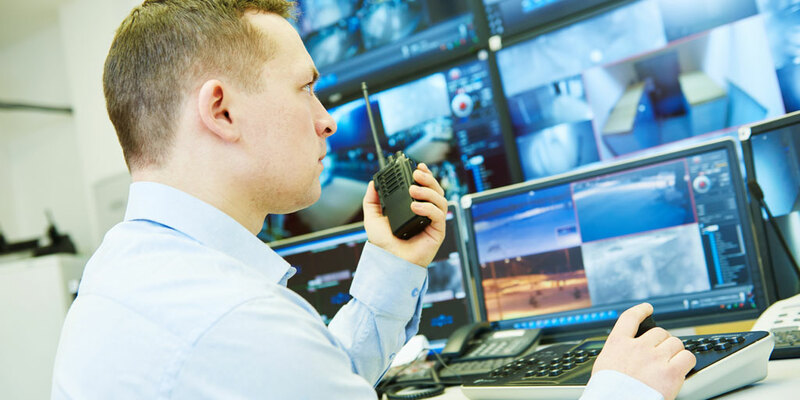 As a provider of quality custom commercial security and business security systems, we at Ivanco, Inc. are proud providers of Hikvision USA, Inc. systems. These high-powered, innovative systems better enable us to meet the needs of our clients across all sectors, whether those clients are large-scale commercial, small business, educational or even a community organization. At Ivanco, we are constantly searching for better, more advanced technologies that will meet the needs of our clients. We feel confident that the quality and innovation of Hikvision systems truly provides us with the means to achieve that goal. Increase the clarity and quality of your security system! Call the team of experts at Ivanco, Inc. to learn more about our Hivision USA, Inc. security solutions today!